The authors, using these goals as a checklist, found that each of the seven states performs well in some areas and badly in others. They discovered that all states approached these goals in a style shaped by their own history and, in particular, by how they have been affected by the troubles of the twentieth century. Their investigations offer a new, informative way of looking at these nation states and detail the social and political conditions in each state. 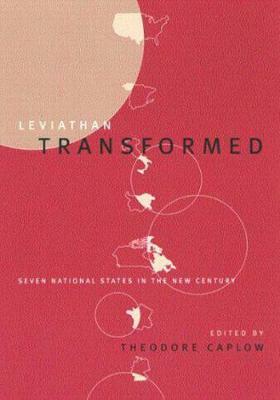 Contributors include Theodore Caplow, Salustiano Del Campo (Royal Academy of Political and Social Science, Madrid), Nikolai Genov (Bulgaria Academy of Sciences), Karl-Otto Hondrich (Goethe University), Simon Langlois (Universite de Laval), Alberto Martinelli (University of Milan), and Henri Mendras (OFCE, Paris).